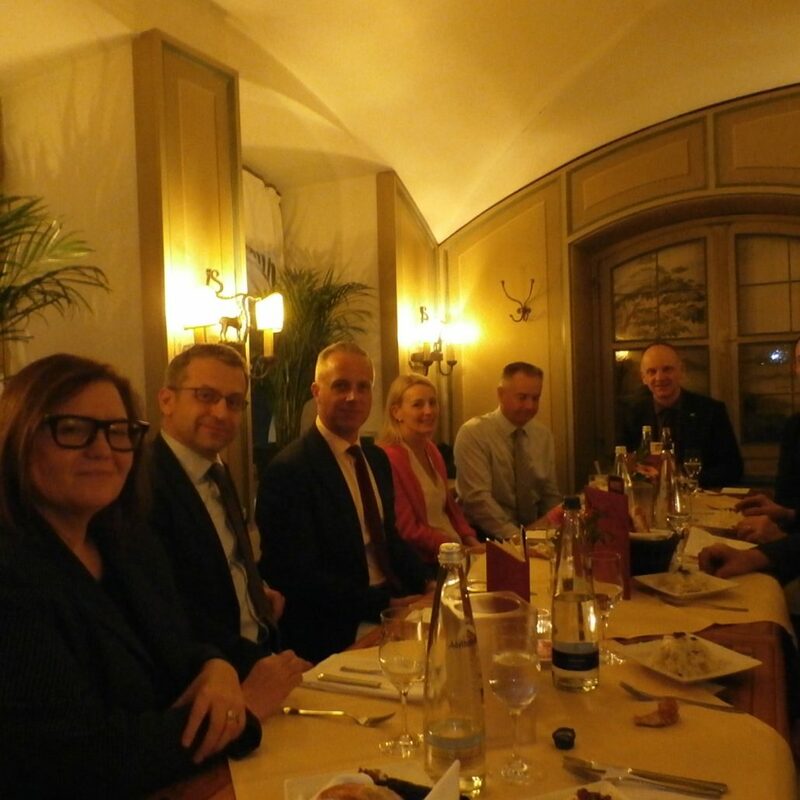 Some members and friends of the German Australian Business Council had the pleasure of participating in a luncheon meeting with a cyber security delegate group from Australia on the 16th of February, 2018 in Munich. 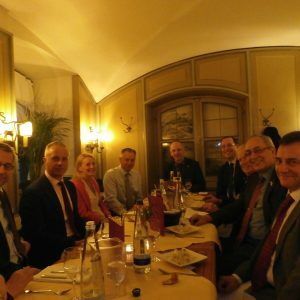 As the Australian delegates were in Germany to attend the Munich Cyber Security Conference 2018, they also took the opportunity to engage in a wider program of briefings and customer engagement opportunities in both Munich and Berlin. These visits included meetings with government and policy stakeholders, corporations, academics and R&D institutes with an interest in the areas of cyber policy, financial services, artificial intelligence, future mobility and defence supply chain. Over the informal lunch, guests had the opportunity to build new networks and to discuss both the German and Australian business and policy environment for cyber security companies and strategies for business from a bilateral perspective. Special guest Dr Tobias Feakin, Australian Ambassador for Cyber Affairs, Department of Foreign Affairs and Trade (DFAT) was present to discuss these issues with the attendees. The German Australian Business Council is very grateful to Kelly Sims and the team from Austrade for providing the opportunity to attend such an interesting event.